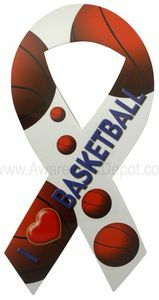 Fun "I love basketball" ribbon magnet. Unique design makes these a hit with basketball lovers and players alike. Great for your car or home!